It’s hard to believe that Thanksgiving is this week. I feel like the year has flown by. My sister is hosting Thanksgiving and it’s custom for the guests to bring some contribution to the meal. When I asked her what I could bring, she advised that a gluten-free and dairy-free dessert was needed. I’m perfectly comfortable baking something gluten-free as I’ve done in the past. Dairy-free? Now that’s a whole different ball game. My nephew is dating a gal who must abstain from gluten and dairy. Baking this dessert was going to be a challenge but I googled some dairy-free recipes to see what ingredients they use to replace dairy. After searching around I played with a recipe and baked it for practice yesterday. I’m happy to report that my first attempt was successful and tasty. I’ve decided to share it with you in case you also refrain from eating gluten and dairy. 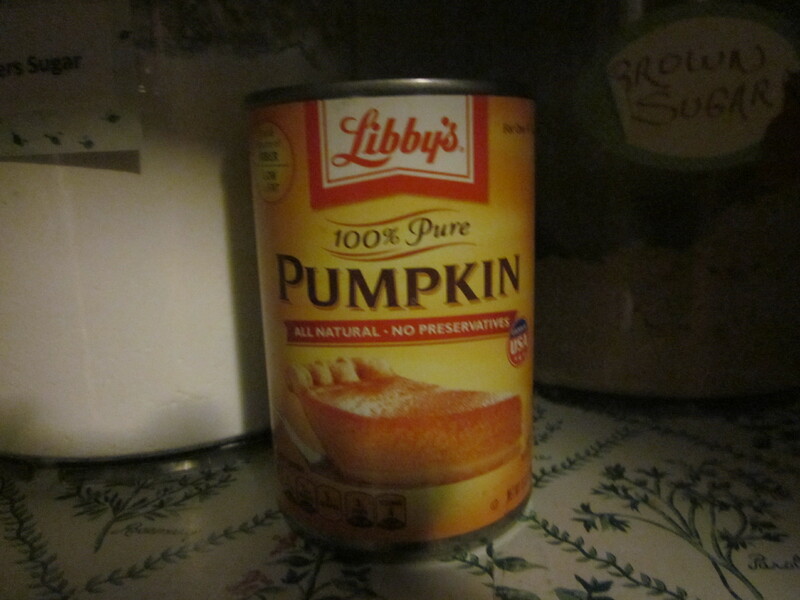 Since it’s Thanksgiving, I decided I should definitely use pumpkin as an ingredient. Libby’s is my favorite. 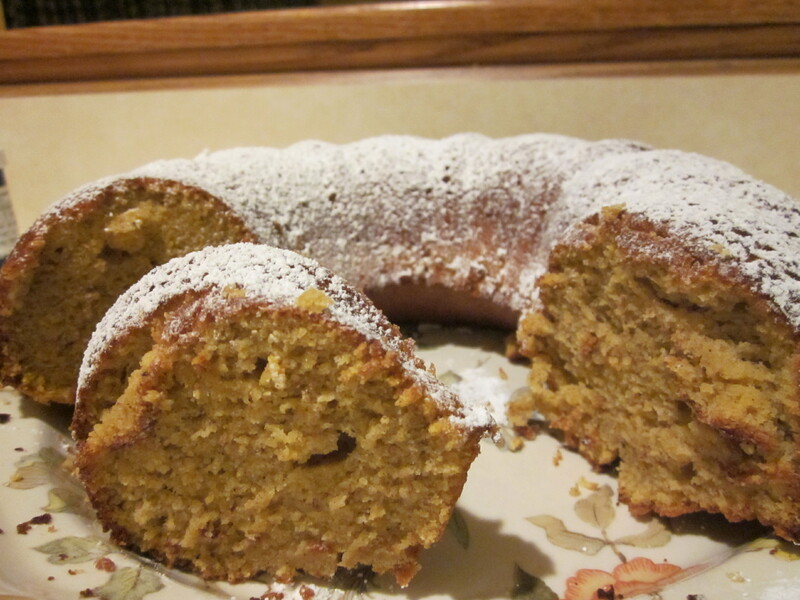 Here is the recipe I came up with and I’m calling it Pumpkin Bundt Cake. It’s really simple to make. I just threw all the ingredients into my Kitchen Aide and let it mix away. 3 tsps Pumpkin spice (created by you) Pumpkin spice is kind of expensive. By mixing cinnamon, ginger, allspice, and nutmeg together you can create your own pumpkin spice. So… commence by mixing all these spices together until you’ve created a taste you really like and add to the batter. In your gluten-free mixing bowl, start with the sugar and begin adding all of the ingredients mixing thoroughly as you go. Spray a Bundt pan with cooking spray and pour in the batter. Bake for 55 minutes or until a toothpick inserted into the cake comes out clean. Sprinkle confectioner sugar on top. See… I told you it’s simple to make. I’ll be baking another one on Wednesday night to bring to the feast on Thursday. I’ll definitely let you know what our gluten-free, dairy-free gal has to say.